2-Watt LED Color-Changing Waterfall and Up Light - Aquascape, Inc. The Aquascape 2-Watt LED Color-Changing Waterfall and Up Light provides impressive lighting options for waterfalls, ponds, and landscapes, adding beauty and elegance by bringing it to life at night. 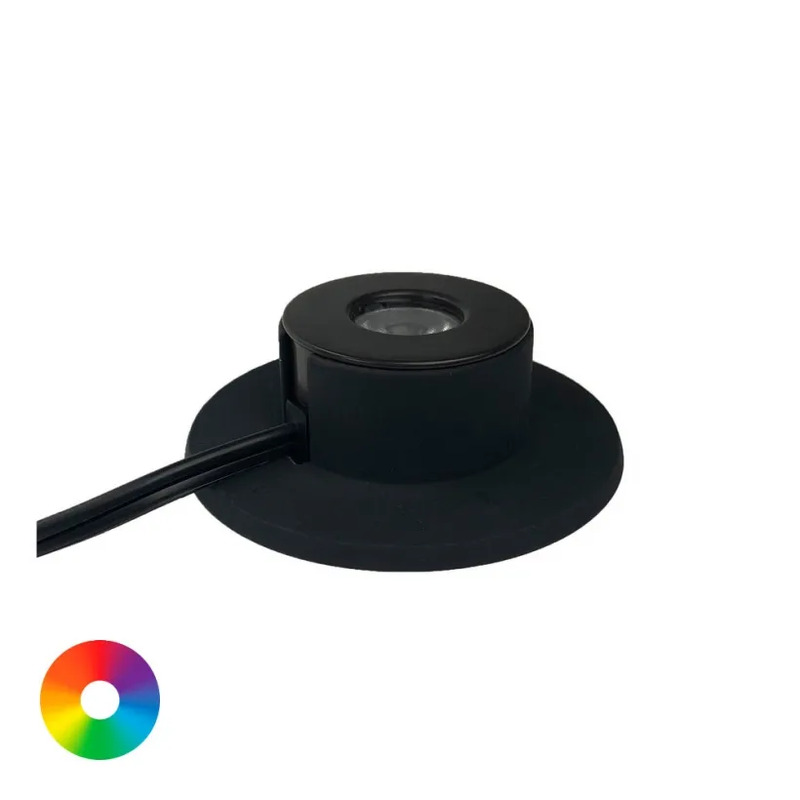 The fixture features high-output color changing diodes and powerful warm white diodes, allowing you to wirelessly select from a wide array of color options including a 3000 Kelvin, YES white option. An optical lens positioned over the diodes provides extremely powerful light output. The Aquascape Color-Changing Lighting Control Hub (#84061, not included) and a low-voltage transformer (not included) are required to power and control the lights. The waterfall and up light can be installed fully submersed in water or installed in traditional landscape settings, accenting or up lighting trees, rocks, gardens, and more. The low-profile, compact design makes this fixture ideal for tucking into small places, including waterfalls and behind cascading water. The fixture’s durable, fully-sealed, die-cast metal housing with protective finish is built to hold up in all weather conditions, providing year after year of enjoyment. The low-voltage, 2-Watt LED light is extremely energy-efficient and includes a removable, injection-molded base and professional, weatherproof quick-connect fittings for quick and easy installation. The Color-Changing Waterfall and Up Light integrates easily with existing low-voltage lighting systems. Use Aquascape Color-Changing splitters and extension cables to make installation quick and easy. Aquascape Color-Changing Lights carry a limited 5-year full replacement warranty. Aquascape is passionate about the products we produce, providing unique products, designs, and features that stand above the competition.